Objective: To secure a partially loose big toe nail following bleeding under the nail. 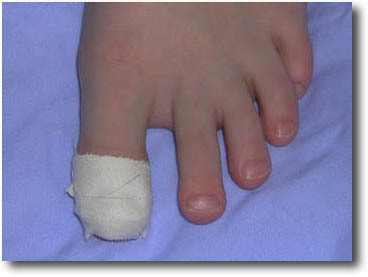 Application: One or two strips of tape are applied around the toe and toe nail. The tape should be fixed so tightly as to ensure that the nail is pressed against the toe, without causing the toe to sleep.